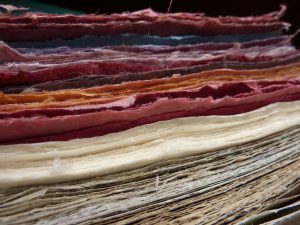 This workshop will introduce you to the delights of making paper by hand. You will learn about suitable materials for making the pulp, how to form the sheets and how to press your paper. You will make different coloured paper and wet emboss a sheet or two of paper. Other details will be supplied when you register.